Writing is a solitary activity punctuated with flights of imagination and often drowned in sheer boredom of being in your own company. Enter the Writer’s group. Definition: A gathering of whacked out counterparts on a mission to do everything but write. As a group, we Paddle Creek Writers, have that last part nailed. In truth, I have forgotten how long the four of us have been a writer’s group but I know it has been well over a decade. 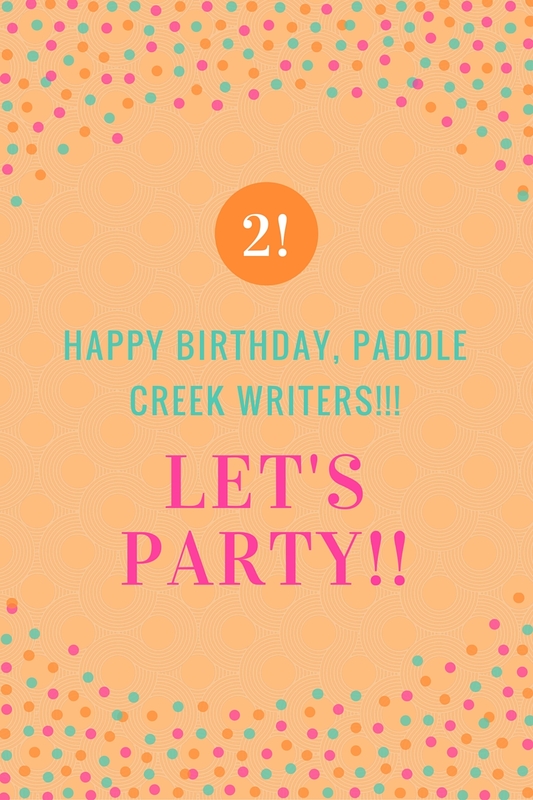 Two years ago this month, we gave ourselves a formal name and congratulated each other in declaring ourselves not only Paddle Creek Writers but announcing ourselves to be Paddle Creek Publishing. We are an INDIE publishing company, which stands for INDeed I Edit all my own stuff and then publish it on Amazon. Sad to say after a dog’s lifetime of being together, one of us relocated to somewhere out west. Those of us left behind remain brokenhearted but drown our sorrows in extra games of Monopoly Deal until she sees the error of her ways and comes back home. We are nothing if not shortsighted, stubborn, and delusional. To celebrate our two-year anniversary, I am offering an e-book cook book, In the Kitchen Again, Cakes and Pies, free on Amazon. Due to the mysteries of KDP Select I could not offer the other two, which was my intention. I hope you enjoy Cakes and Pies as your freebie. I offer the link to the other two even though I am, sadly, unable to give them to you. If anyone has the clarity of understanding in regards to why KDP Select will not allow more than one free book promotion in one time frame, please pass that information along so I can quit banging my head on the table. This entry was posted in creating, food recipes, Inspirational and tagged anniversaries, celebrations, paddlecreekwriters, writer's group, writers, writing by PaddleCreekWriters. Bookmark the permalink. It is quite the joy to not write with you. Somehow, we still manage to get our projects done, though! Thumbing through the pie section of your wonderful cookbook! Think it’s time for a fresh peach pie with vanilla ice cream. Yummmmmmm. Thanks, Susan.